It was against this background, just ten weeks later, that MacKaye offered Whitaker his idea for an Appalachian Trail, and the proposal was published in the somewhat unlikely forum of Whitaker’s Journal of the American Institute of Architects the following October. A hiking trail was only part of MacKaye’s grand vision. He saw the AT as a thread connecting a network of mountaintop work camps where pale, depleted urban workers in the thousands would come and engage in healthful toil in a selfless spirit and refresh themselves on nature. There were to be hostels and inns and seasonal study centers, and eventually permanent woodland villages—”self-owning” communities whose inhabitants would support themselves with cooperative “non-industrial activity” based on forestry, farming, and crafts. The whole would be, as MacKaye ecstatically described it, “a retreat from profit”—a notion that others saw as “smacking of Bolshevism,” in the words of one biographer. At the time of MacKaye’s proposal there were already several hiking clubs in the eastern United States—the Green Mountain Club, the Dartmouth Outing Club, the venerable Appalachian Mountain Club, among others—and these mostly patrician organizations owned and maintained hundreds of miles of mountain and woodland trails, mainly in New England. In 1925, representatives of the leading clubs met in Washington and founded the Appalachian Trail Conference with a view to constructing a 1,2OO-mile-long trail connecting the two highest peaks in the east: 6,684-foot Mount Mitchell in North Carolina and the slightly smaller (by 396 feet) Mount Washington in New Hampshire. In fact, however, for the next five years nothing happened, largely because MacKaye occupied himself with refining and expanding his vision until he and it were only tangentially connected to the real world. The path they built had no historical basis. It didn’t follow any Indian trails or colonial post roads. It didn’t even seek out the best views, highest hills, or most notable landmarks. In the end, it went nowhere near Mount Mitchell, though it did take in Mount Washington and then carried on another 350 miles to Mount Katahdin in Maine. (Avery, who had grown up in Maine and done his formative hiking there, was most insistent on this.) Essentially, it went where access could be gained, mostly high up on the hills, over lonely ridges and forgotten hollows that no one had ever used or coveted, or sometimes even named. It fell short of the actual southern end of the Appalachian Mountain chain by 150 miles and of the northern end by nearer 700. The work camps and chalets, the schools and study centers, were never built. Still, quite a lot of the original impulse behind MacKaye’s vision survives. All 2,100 miles of the trail, as well as side trails, footbridges, signs, blazes, and shelters, are maintained by volunteers—indeed, the AT is said to be the largest volunteer-run undertaking on the planet. It remains gloriously free of commercialism. The Appalachian Trail Conference didn’t hire its first paid employee until 1968, and it retains the air of a friendly, accessible, dedicated outfit. 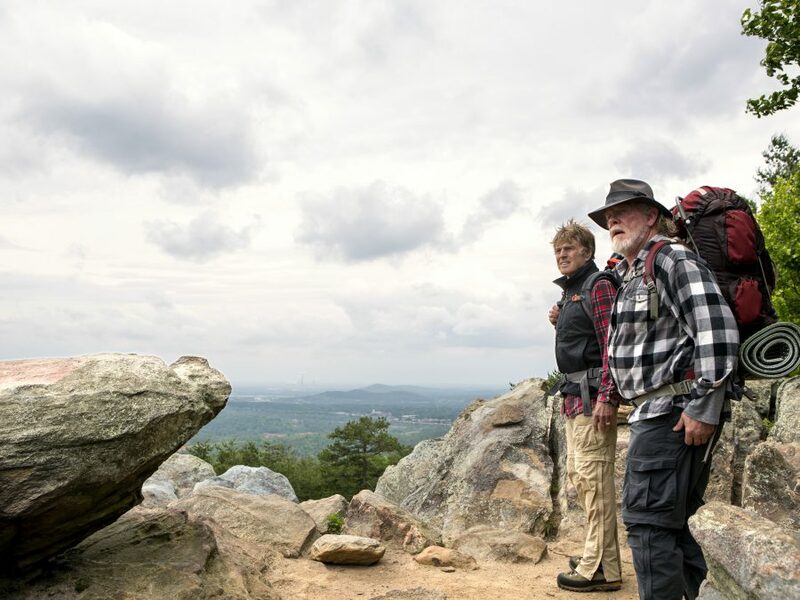 The AT is no longer the longest hiking trail—the Pacific Crest and Continental Divide trails, both out West, are slightly longer—but it will always be the first and greatest. It has a lot of friends. It deserves them. Almost from the day of its opening, the trail has had to be moved around. First, 118 miles in Virginia were rerouted to accommodate the construction of Skyline Drive through Shenandoah National Park. Then, in 1958, overdevelopment on and around Mount Oglethorpe in Georgia necessitated lopping twenty miles off the trail’s southern end and moving the start to Springer Mountain, in the protected wilderness of the Chattahoochee National Forest. Ten years later, the Maine Appalachian Trail Club rerouted 263 miles of trail—half its total length across the state—removing the trail from logging roads and putting it back in the wilds. Even now the trail is never quite the same from one year to the next. Amicalola Falls Lodge was an aerie high on a mountainside, reached up a long, winding road through the woods. The man at the airport in Manchester had certainly seen the right weather forecast. It was piercingly, shockingly cold when we stepped from the car. A treacherous, icy wind seemed to dart around from every angle and then zip up sleeves and pant legs. “Jee-zuss!” Katz cried in astonishment, as if somebody had just thrown a bucket of ice water over him, and scooted inside. I paid up and followed. The lodge was modern and very warm, with an open lobby dominated by a stone fireplace, and the sort of anonymously comfortable rooms you would find in a Holiday Inn. We parted for our rooms and agreed to rendezvous at seven. I got a Coke from a machine in the corridor, had a lavishly steamy shower involving many towels, inserted myself between crisp sheets (how long would it be till I enjoyed this kind of comfort again?) watched discouraging reports by happy, mindless people on the Weather Channel, and slept hardly at all. I was up before daybreak and sat by the window watching as a pale dawn grudgingly exposed the surrounding landscape—a stark and seemingly boundless expanse of thick, rolling hills covered in ranks of bare trees and the meagerest dusting of snow. It didn’t look terribly forbidding—these weren’t the Himalayas—but it didn’t look like anything you would particularly want to walk out into. I found Katz in the dining room and he was looking laudably perky, too. This was because he had made a friend—a waitress named Rayette, who was attending to his dining requirements in a distinctly coquettish way. Rayette was six feet tall and had a face that would frighten a baby, but she seemed good-natured and was diligent with the coffee. She could not have signaled her availability to Katz more clearly if she had thrown her skirt over her head and lain across his Hungry Man Breakfast Platter. Katz in consequence was pumping testosterone. I hoisted my pack and took a backward stagger under the weight (it would be days before I could do this with anything approaching aplomb), jerked tight the belt, and trudged off. At the edge of the woods, I glanced back to make sure Katz was following. Ahead of me spread a vast, stark world of winter-dead trees. I stepped portentously on to the path, a fragment of the original Appalachian Trail from the days when it passed here en route from Mount Oglethorpe to Springer.